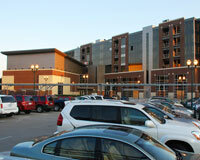 Get directions to the Coralville Center for the Performing Arts. Free parking is available at street level and underground in the Town Center Parking Facility adjacent to the Coralville Center for the Performing Arts and the Coralville Public Library. 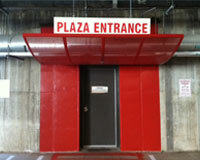 When entering the Center from the underground parking facility, look for the door marked "Plaza Entrance." Free street parking is also available throughout the Town Center District. Bike racks are available at the north side of the building; additional bike racks are located by the Library. For additional information, please call 319.248.9370.